To increase awareness about the ''silent blinding diseases,'' January has been declared National Glaucoma Awareness Month. Glaucoma is the second leading source of permanent vision loss, responsible for 9%-12% of all cases of total vision loss in the United States and effecting nearly 70 million people worldwide. Due to the fact that glaucoma has no early symptoms, experts believe that nearly 50% of patients with the disease are unaware of their condition. Glaucoma is the name for a number of ocular diseases that damage the eye's optic nerve, the channel that transmits images between the eye and the brain. Although anyone can develop glaucoma, there are certain groups that are at higher risk such as African Americans over age 40, senior citizens, in particular of Mexican descent, and those with a family history of the disease. Since blindness due to optic nerve damage is irreversible, early diagnosis of glaucoma is crucial. Symptoms of the disease, however, are often not present before the optic nerve is damaged, often becoming apparent when peripheral (side) vision is already gone. There is no treatment for glaucoma, however current methods of treatment, including medication or surgery, can slow the progression of the disease and prevent further vision impairment. Treatment depends upon the type of glaucoma and early diagnosis is imperative to its’ success. The NIH's National Eye Institute recently found that while glaucoma was known to ninety percent of the people they surveyed, only eight percent knew that it presents no early warning symptoms. 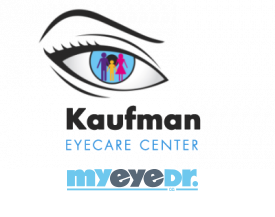 Only an experienced eye care professional can identify the early effects of glaucoma, using a comprehensive glaucoma screening. A yearly glaucoma screening is the best way to protect your vision from this potentially devastating disease. Don’t delay in scheduling a comprehensive eye exam before it’s too late.